My lucky friend Jiangqi did a field trip to Mt. Kailash in August. 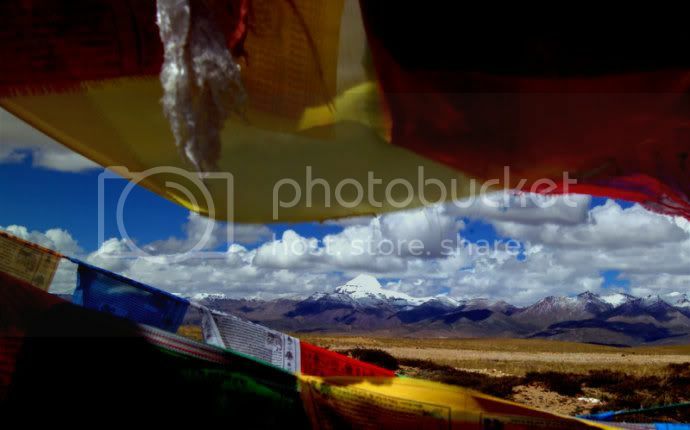 Those are Tibetan prayer flags, that frame the super holy mountain Kailash (galase).